Arabica coffee, a strong product of Vietnam, was promoted at the SCAJ World Specialty Coffee Conference and Exhibition in Tokyo, Japan, on September 30. Arabica products were introduced at the event by businesses from the Central Highlands province of Lam Dong, a coffee cultivation hub of Vietnam. Chairman of the provincial People’s Committee Doan Van Viet said those companies are outstanding in Arabica coffee production and sale. The event was a good chance for them to promote local coffee products so as to seek export markets and Japanese investors. Some Lam Dong businesses said many international enterprises came to the Vietnamese booth to explore cooperation opportunities. 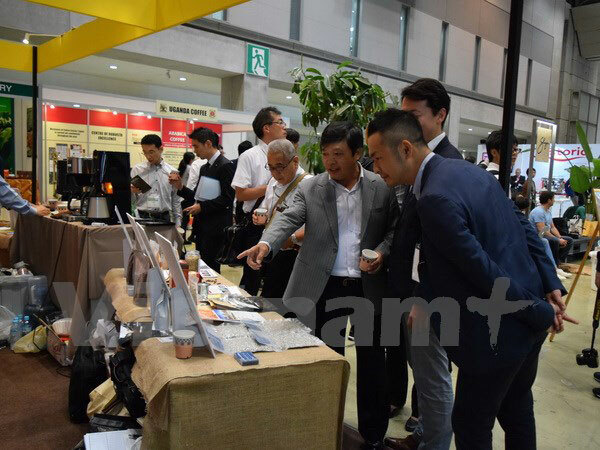 Tomita Sho, a representative of the Japan International Cooperation Organisation (JICA) which assists Lam Dong companies at the exhibition, said Arabica coffee holds huge potential in Japan. While Vietnam is the world’s second biggest coffee producer, Japan ranks fourth in the world in terms of coffee consumption. On the sidelines of the exhibition, the Vietnamese side also met with some of Japanese firms experienced in the production and distribution of coffee as well as other agricultural products to share information and set up partnership. The SCAJ World Specialty Coffee Conference and Exhibition, held from September 28-30, is a major event in Japan for global coffee companies. It attracted enterprises from many countries like India, Rwanda, Paraguay and Colombia./.